Arendt and Patočka address history, philosophy, and the crisis of modern Europe with similar influences (chiefly Heidegger) and method, yet their understanding of how contemplation relates the European ideal of the public realm is incongruent. They both correlate closed systems of thought with closed societies and see the polis as a realm of free men, beyond necessity, unfixed and open-ended. They fault Plato for putting the ideal of the polis in crisis, a crisis which reached a fever pitch in the 20th Century. For Patočka, philosophy and politics are both rooted in polemos, the shaking of given sources of meaning. Once myth has ruptured, politics becomes a merely human realm of equals, just as for philosophy. There are no easy answers, the future is uncertain, ongoing discussion is needed, and one must have courage to risk themselves. The citizens of a polis are bound together by their common struggle, and the polis is the only context in which philosophy can take place. For Arendt, on the other hand, a life dedicated to contemplation is anti-social, demeans the vita activa (a term defines in context of “the trial of Socrates and the conflict between the philosopher and the polis”), depreciates man-made things (noting that the polis is a man-made thing), and is driven by a desire for quiet, stillness, and speechlessness (in other words, to be free from conflict and social interaction). 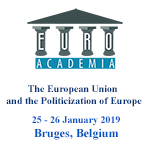 This paper will explore their points of divergence in order to gain insight into the threat they believed the European ideal of the public realm was facing in the 20th century.